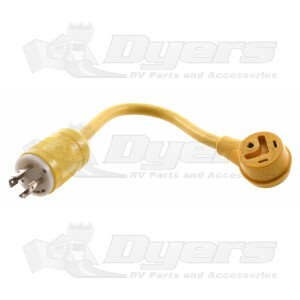 Use to connect standard 30A RV cordset to generator equipped with 30A, 4-prong locking receptacle (L14-30R). Molded ends with flexible cable for maximum weatherproofing. Made from high quality, corrosion resistant material.